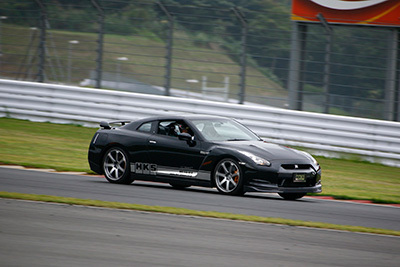 HKS has developed a new Transmission Gear Kit with Clutch for ultimate power support for R35 GT-R.
We have tested over and over in severe environment with HKS GT1000 spec with slick tires at circuit for time attack. This is it! 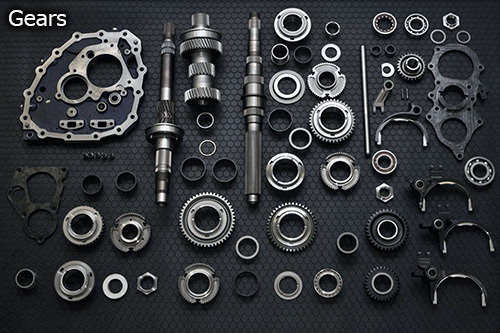 The ultimate Transmission Gear and Clutch for the ultimate capability of torque. * Available from limited dealers. 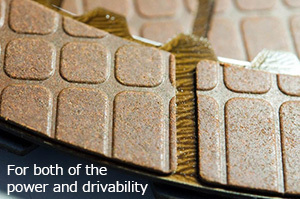 CLUTCH PACK: It's super capacity and total bolt-on design will provide pleasant controllability. With this new and original design, we could have more clutch capacity and could prevent from distortion of the disk by the heat. Also, the new bigger piston diameter can provide 110% more pressing force than the stock without modifying the oil pressure parts. Changed design of the inner oil seal provides 170% stronger pressure-resistant than the stock seal. 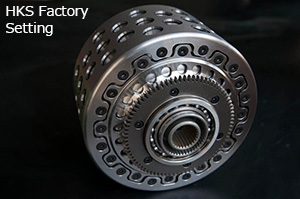 It's a bolt-on clutch pack product which is assembled and tested. 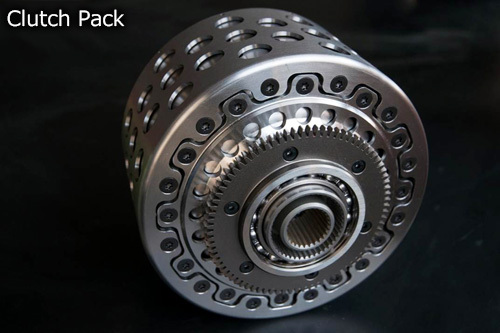 This is the ultimate clutch pack which can support more than 1000PS and drive smoothly for the parking by using the adequate material for the clutch disk that produce perfect μ characteristics. TRANSMISSION: It's super strong which has high level of reliability and performs even great in the street. We have optimized layout design of the transmission including each plate. This optimization brings a wider cog size which results in the absolute strength compared to other products. The stock aluminum plates may distort at a high output and cause the breakage of the cogs because of the clearance change for the gear. 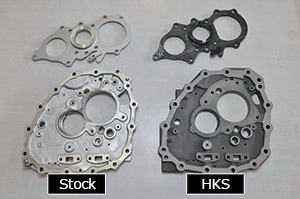 However, HKS plates are made of very strong steel material which is 3 times stronger than the stock. We have rigid center portion with the sandwich plate structure and made special steel front cover. This new design provides a stronger bearing supporting strength and gear's its 100% performance. We researched the reinforced gear market and found out that the partial contact of the cog of the gear causes the breakage. 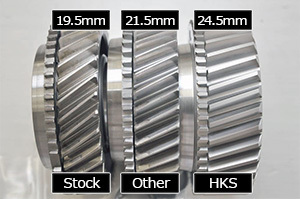 So we have redesigned and optimized gear shape to the micro level to have the centralized gear fit and refined the parts to its ultimate precision machining quality. The noise from gear is also reduced. To prevent from damaging the gear because of the oil film failure by the extreme power of the tuned engine, we adopted the special surface processing which is used in the "F1" cars. We have remade the shift folk for the hybrid structure of the steel and aluminum which are often broken. It's not only stronger but also just worn portion is replaceable. We put the screw for both end of the shaft to prevent the snap ring fall off. Because the gears are firmly fastened by screws with, it allows press-fit load to be less. 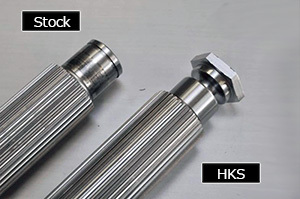 This design enables easier installation and stronger shaft. 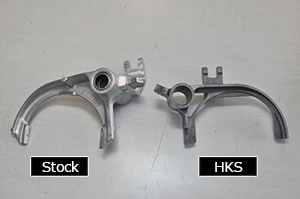 * Some stock parts are used for assembling. * Transmission overhaul and assembly work. The kit includes everything from gear, clutch pack, shift folk, sandwich plate and original bearing. You don't have to take out bearings from the stock part like other gear kit, so it's much easier and safer.